We envision a District of Columbia where all children, regardless of their race/ethnicity, family’s income or zip code, have the opportunity to reach their full potential. DC Action provides data analysis and policy leadership on critical issues facing DC children and youth. A Strong Start: The first 3 years of a children’s life have a lasting impact on later learning, health and success. Health and Wellness: Healthy children perform better in school and life. All children need access to high-quality preventive health care and a medical home. Nurturing Home and Neighborhoods: Children thrive when they grow up safe, stable and in nurturing environments. Family Economic Security: Children living in financially secure families are more likely to succeed in school, stay healthy, and achieve economic self-sufficiently as adults. High Quality Education: High quality education, from pre-kindergarten through college and beyond, provides children with the best opportunity for long-term life success. DC Action for Children is the leading independent research, policy and advocacy organization dedicated to improving child well-being in the District of Columbia. Through unmatched subject matter expertise, we provide a voice for DC children on critical policy issues. The breadth of issues that we cover and our depth of knowledge and analysis reflects our approach to supporting children and their families. Our expertise covers education, health and child welfare policy issues that are fundamental to giving all children the chance to reach their full potential. DC Action for Children was founded in 1992 by stakeholders concerned about the deteriorating conditions for DC’s children. They formed the nonprofit DC Action for Children to help break the cycle of poverty through early interventions in the lives of DC’s youngest children. In its first two decades, DC Action for Children worked to improve outcomes for children by focusing on a broad array of issues, including early care and education, child welfare, child health and youth development. 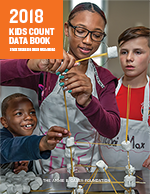 Today, with support from the Annie E. Casey Foundation to become the home of DC KIDS COUNT, DC Action is the primary source of data on conditions and outcomes for all children and youth in DC. We work closely with city agencies, the school system and providers to get the most accurate and timely data and make it clear and accessible to all on our website. The data from DC KIDS COUNT drives our programmatic, evaluation and advocacy work. Check out this video featuring our partnership with DataKind! We invite you to learn more about our past initiatives and ongoing work by exploring our Newsletter Archive.